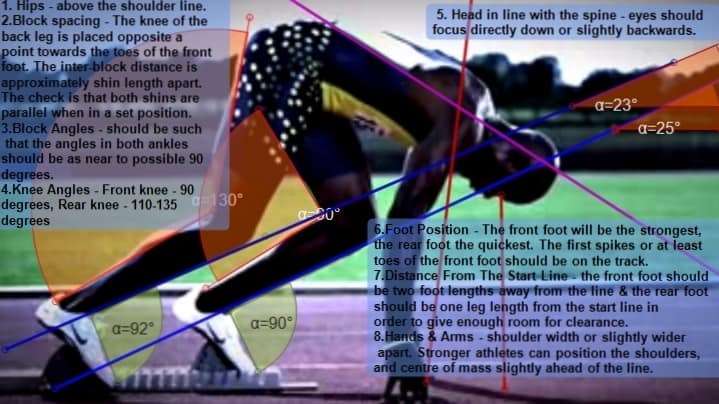 I posted some starting block sequences with Usain Bolt, Valery Borzov, Carl Lewis, and now Asafa Powell. 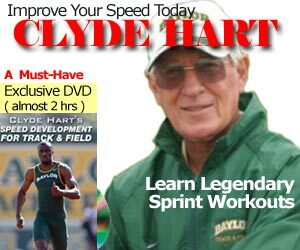 For Armin Hary’s starting block sequence, you can buy the re-release of Bud Winter’s The Rocket Sprint Start (previous edition was 1964). Of course, you can always use the Free Kinovea! According to the website, video of the world record holder was acquired from the You Tube. 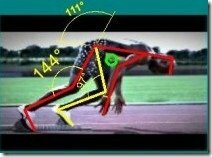 The footage was downloaded and sequenced using Quintic sports analysis software. The original video was filmed at 1000 frames per second. 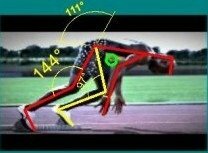 It’s too bad only the block clearance and first stride have been analyzed, so we don’t see the 2nd stride toe-drag. Note rear leg is 130 degrees, and front leg is 88 degrees. Compare that to the 129-95 in other research.